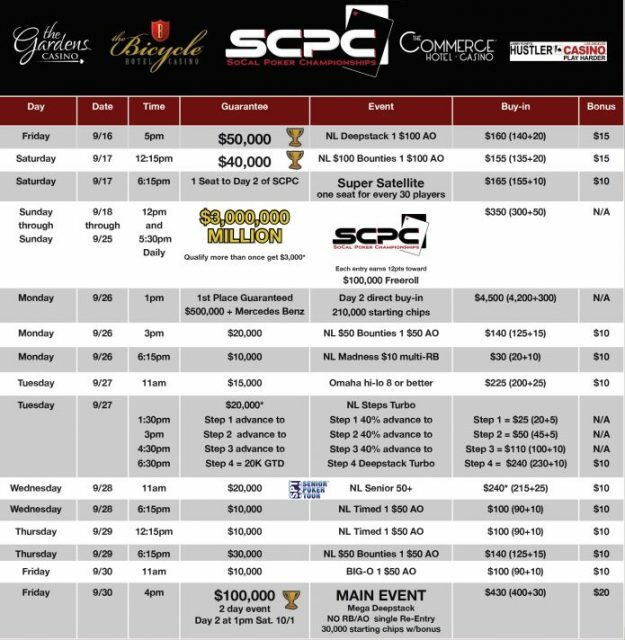 According to the Hawaiian Garden’s website, they will be hosting a $3,000,000 SCPC event during the month of September. As you can see below, qualifying days are 9/18 through 9/25, plus they have other events starting on 9/16. 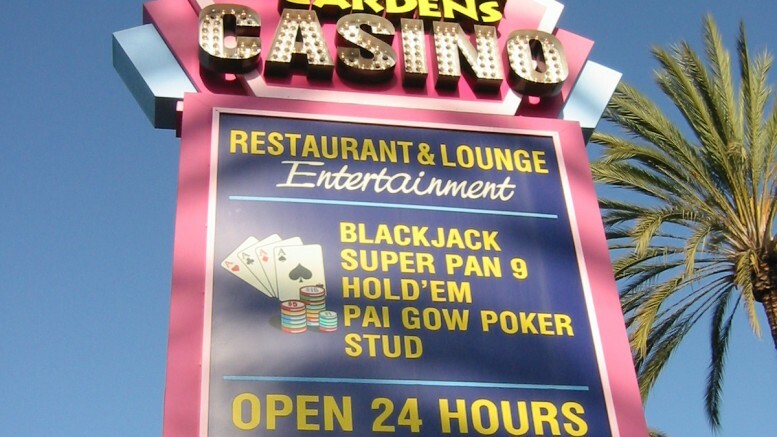 The SCPC is a multi-casino event featuring The Gardens, The Bicycle, Commerce and Hustler casinos. Qualifying events will take place at all of the casinos, with the finals taking place at the Bicycle casino in December. Be the first to comment on "Socal Poker Championships Coming Soon"